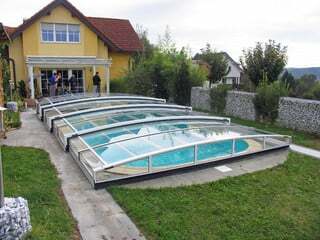 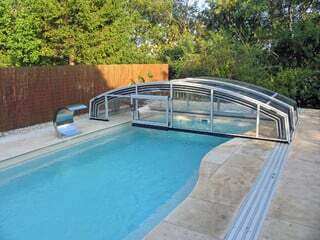 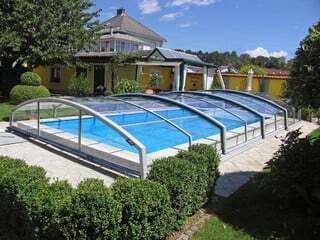 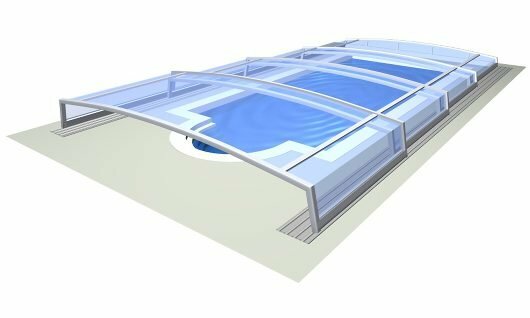 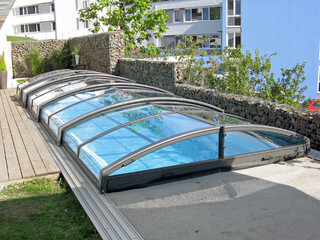 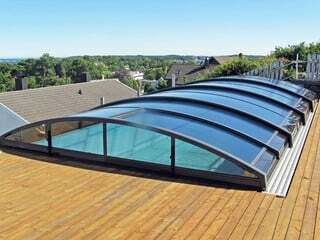 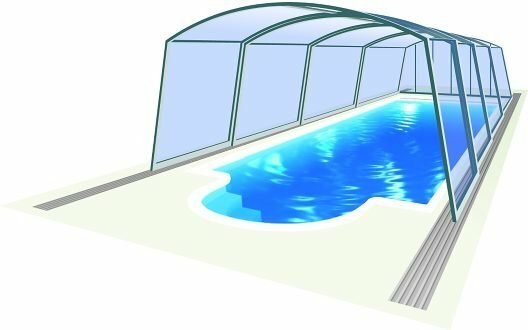 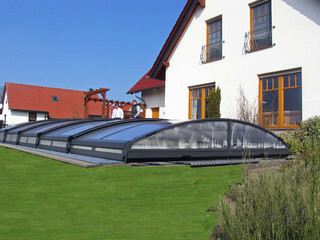 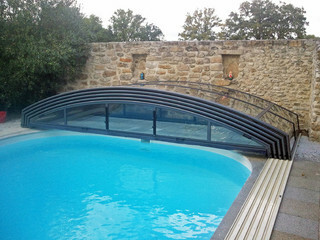 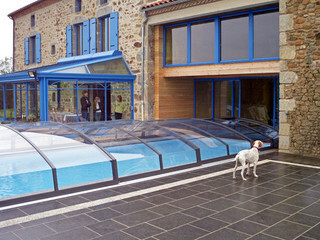 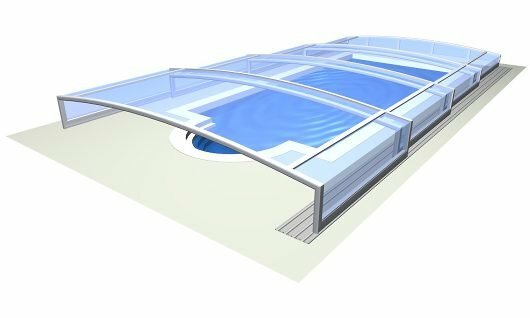 Another low swimming pool enclosure which will protect you against bad weather and allows you to use your pool in cooler months. 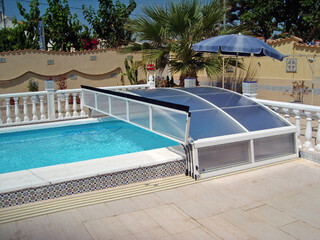 Imperia model offers a very modern shape with a sharp edge. 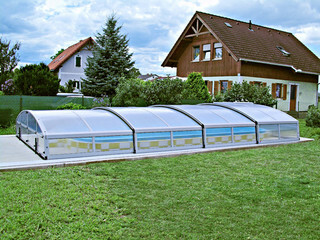 This enclosure will look beautiful in any yard.